YJ twist on Plays!!!. . Wallpaper and background images in the Young Justice boys belong to us! club tagged: young justice robin. This Young Justice boys belong to us! photo contains anime, comic book, manga, and cartoon. 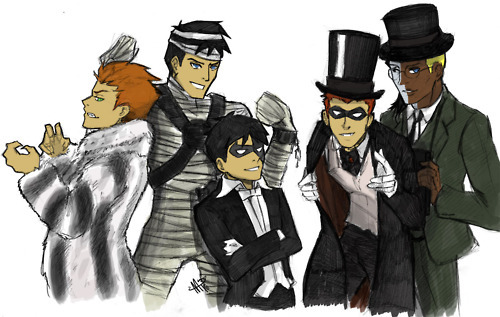 lol.... Is Wally supposed to be Cruella De Ville?